There have been many changes since the first edition of this publication appeared in 1984. In addition to the closure of many more local cinemas, there has been the growth of the multiplexes so the picture is not entirely black. This book has been written by Alan Eyles, a full-time specialist researcher and writer on the history of cinema. The new edition has twice the number of pages as the first and nearly 200 photographs including many which have been uncovered by the author in the last 20 years. 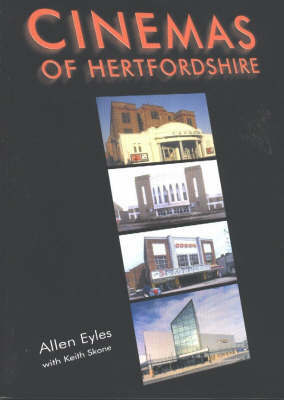 It includes every cinema which has opened in Hertfordshire since 1908 (when the first opened its doors) and is arranged by town for ease of reference.